Liz Earle Cleanse & Polish is the product that has won numerous awards and everyone has had in their cleansing routines at one time or another and sparked many imitations - and an obsession with muslin cloths. I was introduced to Liz Earle via QVC and even when I was lax with a skincare regime, when I did have my moments it was Liz Earle and the famous hot cloth cleanser I reached for. Today I'm a little older and more disciplined with my regime and if I'm honest am no longer excited by Cleanse & Polish and haven't been since their Limited Edition Grapefruit & Patchouli version. That said whenever I travel it's my cleanser of choice and as I'll be packing it for my night away this weekend I thought it was worth a special mention. The beauty of Cleanse & Polish is it's reliability and double duty. These days I would prefer it as a morning cleanse but it's ability to remove make up is second to none and therefore when travelling and with no desire to load up suitcases with multiple cleansing products I know that Cleanse & Polish will work for both purposes. The packaging is perfect, I do love their full size products that dispense just the right amount needed for your cleanse and the fact that you can buy travel sizes makes life so much easier. There's a reason that Liz Earle only sell one cleanser and that is because it's designed for all skin types. Often you can't share skincare products with travelling companions due to different skin types but Cleanse & Polish was used by both mum and I when we went away last year. If ever the time came and I had to pick just one cleanser to use for the rest of my life (oh the horror!) I think it's very likely this would be the one would be on the list for consideration. The beauty is in it's simplicity yet getting the job done. Often these types of products can be overlooked especially in a world where we're dabbling with all sorts of imitations and other cleansing products. 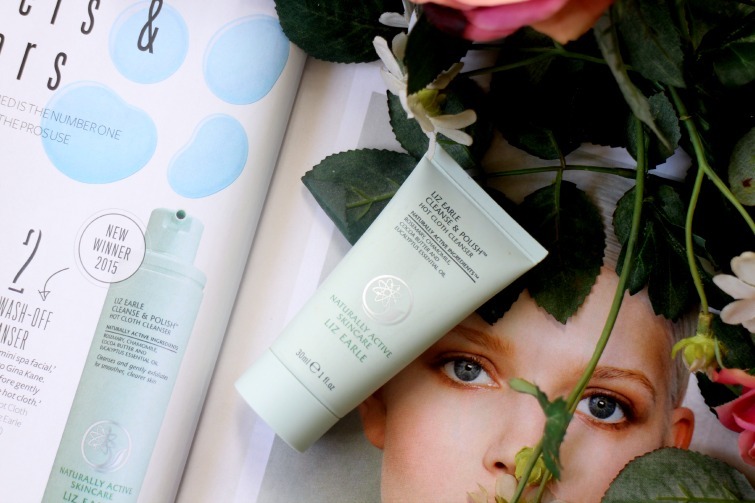 Are you a Liz Earle Cleanse & Polish fan? The perks of being a hipster- 16 things all bloggers know! I have that - it was a gift. I'm not sure it does anything for me, but I love the face mask in the range. I wasn't overwhelmed by this at first, but I am defiantly warming to it! It's just a simple reassuring cleanser rather then something that wows! I'm looking for a new cleanser. Thanks for this review. I agee the lack of scent isn't enjoyable. Have you tried any of the limited editions?